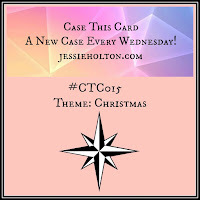 I have entered this card into the Case This Card Challenge #CTC015. Do pop by and take a look at the great cards or think about entering one of the challenges yourself! They're great fun! As you can see, the Stitched Shapes framelits combine well with the Layering Ovals, Squares and Circles die sets. Unfortunately, due to the huge demand, these framelits are temporarily unavailable. I will post up the information when they are available again. 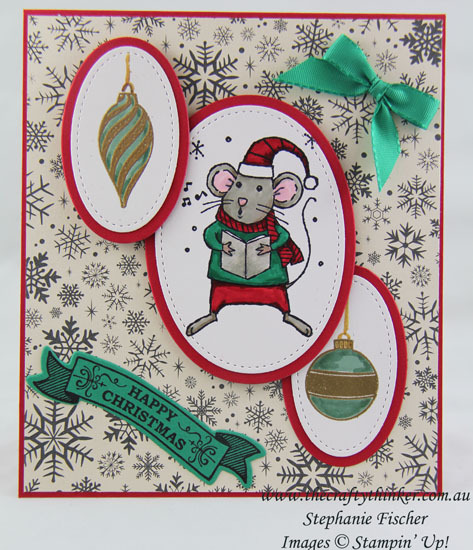 For this card I used a mouse image from the Merry Mice stamp set, some baubles from the Forever Evergreen stamp set and the banner from Seasonal Bells which is cut with the matching dies from the Bunch of Banners Framelits. I used Stampin Dimensionals to add depth to the card. The images are coloured with Many Marvelous Markers and I used gold embossing powder for the bauble images. 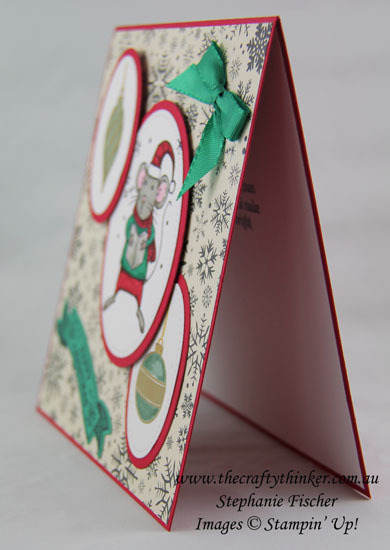 The finished card is 6" x 5.25" in Real Red cardstock, layered with This Christmas Specialty DSP. PS Check here to see the stamp sets that are currently on sale (25% off!) until 30th November.